Renzo Iorio is COO AccorHotels for Italy and Greece. AccorHotels is a world-leading travel & lifestyle group and digital innovator offering unique experiences in more than 4,600 hotels, resorts and residences, in 100 countries under 30 brands, as well as in over 10,000 of the finest private homes around the globe. After a short experience in the economic newspaper ‘Sole 24 ore’, he began his career in Accenture in 1982, and then move to Fiat in the international finance department and therefore in IFIL / EXOR M&A. When IFIL became shareholder of Accor, in 1994, he took the role of CFO of the Italian entity and then appointed CEO in 2007. 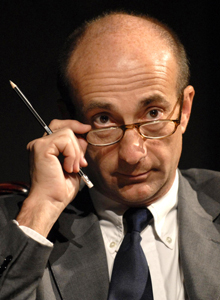 President of AICA Confindustria from 2004 to 2008 and President of Federturismo Confindustria from 2012 to 2016, he served also as coordinator for Cultural Tourism, Attractiveness and Accommodation within Padiglione Italia EXPO2015. He is currently Chairman of the Confindustria Technical Group “Culture and Development” and member of the Advisory Board of the Foreign Investors Committee.